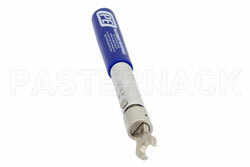 SMA torque wrenchPE5011-1 from Pasternack is part of our extensive in-stock RF tools for sale. This SMA torque wrench has precision preset and is manufactured in a click type design. Our SMA torque wrench uses a hex size of 5/16. This RF torque wrench for SMA connectors is designed to help prevent over tightening. The Pasternack SMA wrench in click type design helps to limit SMA connector torque ratings to the correct amount by alerting the user when the pre-set torque limit for SMA connectors is reached. Our SMA connector torque wrench is pre-set to 8 in-lbs. 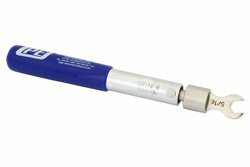 PE5011-1 SMA torque wrench is one of over 40,000 RF, microwave and millimeter wave components and tools supplied by Pasternack. This SMA wrench can be bought and shipped worldwide the same-day as with our other in-stock RF parts and tools.